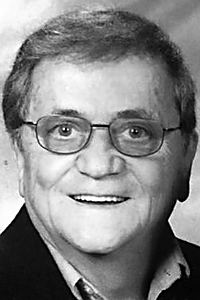 Robert G. Ciambotti, 84, Altoona, passed away Tuesday at his residence, surrounded by his loving family. He was born in Altoona, son of the late Carlo and Maria Asunta (Pinciotti) Ciambotti. On May 25, 1957, he married Gloria Salomie at Our Lady of Mount Carmel Catholic Church, Altoona. Surviving are his loving wife of 59 years; three daughters: Carla Neff (John) of Irvine, Calif., and Teresa Ciambotti and Christine Filer (Ralph), both of Altoona; two sons: Donald (Ruth) of Altoona, and Michael (Kathleen) of Charlotte, N.C.; 10 grandchildren: Jenna (Steve) Shaffer, Nicole (Jim) Clancy, Alexis Ciambotti, Kyra and Kristin Neff, Shane and Danielle Filer, and Nico, Zach and Michala Ciambotti; two great-grandchildren: Drew Shaffer and Addie Clancy; four sisters: Dominica Ciambotti, Marian Fultz, Rita Luciano and Christine Ciambotti, all of Altoona; and many loving nieces and nephews. He was preceded in death by two sisters: Flora Evangelisto and Angeline Pacifico; and a brother, Donald Ciambotti. Robert was a graduate of Altoona High School. He served in the U.S. Navy as a seaman on the USS Conway. He retired as a conductor/brakeman for Conrail. He was a member of Our Lady of Mount Carmel Catholic Church, Altoona, as well as Bavarian Aid Society and Buccinese Society. He enjoyed Bishop Guilfoyle sports, golf and his grandchildren, who were the light of his life. Friends will be received from 2 to 8 p.m. today, Feb. 3, 2017, at Santella Funeral Home, Altoona, where a vigil for the deceased will be held. Additional visitation will be from 9 to 10 a.m. Saturday, Feb. 4, 2017, at the funeral home. A funeral Mass will be celebrated at 10:30 a.m. Saturday at Our Lady of Mount Carmel Catholic Church, Altoona. Committal with full military honors will be at Calvary Mausoleum, Altoona. In memory of Robert, contributions may be given to Home Nursing Agency Hospice, 201 Chestnut Ave., P.O. Box 352, Altoona, PA 16603, or Our Lady of Mount Carmel Catholic Church, 806 11th St., Altoona, PA 16602.